Action - The mechanism of a firearm that presents the cartridge for firing. It also removes the spent casing and inserts a fresh cartridge. Accidental Discharge - This occurs when a firearm is fired under circumstances out of control of the person with the firearm. This can be due to mechanical failure or a part breaking. his is a very rare occurrence, as few firearms go off accidentally. Brick - A box of ammunition. The size is roughly the same as that of a brick. The term is used most often to describe a 500 round of 22 Long Rifle ammunition. Buckshot - Medium to large-sized pellets .24" in diameter or more. They are fired from a shotgun. Cable Lock - A gun lock consisting of a cable with a padlock on the end that is threaded through the action of the firearm. Clearing - An important part of gun safety. This process involves unloading a gun and double checking to make sure that the gun is not loaded. It can also signify the fixing of a malfunction in a firearm. Down Range - At a gun range, this is the area where the firearms are pointed when firing. Dry Firing - The use of a firearm without ammunition. Dry firing must be done carefully with a verified unloaded gun. 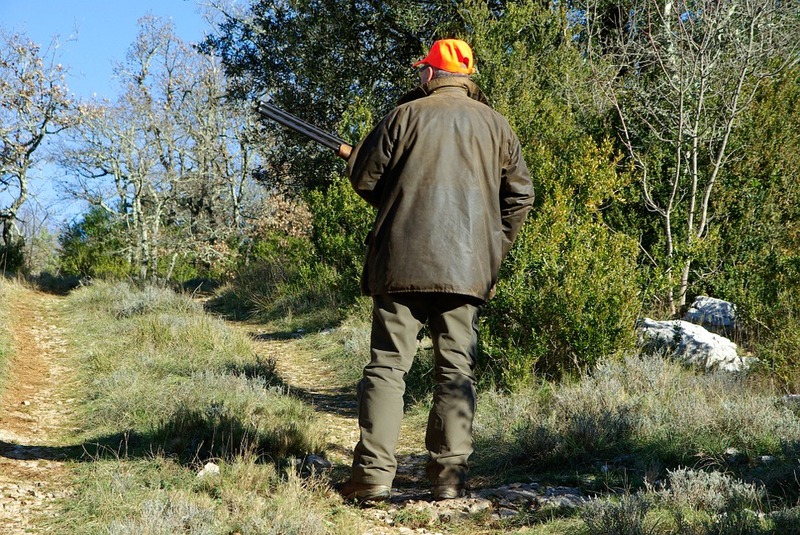 Ear Plugs or Ear Muffs - Hearing protection specifically designed for shooting. Eye Protection - Safety glasses or other protection for the eyes. Both shooters and spotters should wear eye protection while shooting. Firearm - According to the 1968 Gun Control Act, a rifle, shotgun, or handgun that uses gunpowder as a propellant. An air gun is not, by definition, a firearm. Green Ammunition - Ammunition with no lead in it. Grip - The handle of a handgun. Hair Trigger - A trigger that trips with an extremely light touch. Hollow Point Bullet - A bullet that is designed to expand as it penetrates. They are less likely to penetrate a target and harm a bystander. Jam - A malfunction that causes the gun to "lock up" and tools are required to repair it. Kick - Slang term for recoil. Loaded - A firearm is loaded when a cartridge is in its firing chamber. Remember that all firearms are to be treated as loaded. Machine Gun - A firearm that is fully automatic, firing multiple shots with one pull of the trigger. Muzzle - The open end of the barrel. Negligent Discharge - The unplanned firing of a gun caused by not following basic safety rules. Requires the registration of all fully automatic firearms. Requires the registration of all "sawed off" rifles and shotguns. Requires the registration of firearm silencers. Imposes a $200 transfer tax on the above items. Regulates the sale, manufacture, transfer, and transportation of the above items. Pistol - Another name for a handgun. Practical Shooting - A shooting sport that simulates the use of small arms in its role for either hunting or self-defense. Rangefinder - A device used to determine the distance to a target. Many of today's rangefinders use a laser to determine distance. Right To Bear Arms - The unalienable right of all of the people, stated in the Second Article of The Bill of Rights, to possess and use personally owned firearms for sport, recreation, personal protection, and the defense of the nation. Second Amendment - The second article in the United States Bill of Rights which states, "A well-regulated militia being necessary for a free state, the right of the people to keep and bear arms shall not be infringed." Small Arms - Firearms designed to be carried and used by an individual or individuals. Telescopic Sight - A sight with a telescope lens built in. Trajectory - The arc described by a projectile traveling from the muzzle to the point of impact. Waiting Period - According to the law, the time period between purchasing a firearm and its delivery. Weapon - According to the Webster Dictionary, "an instrument of offensive or defensive combat." Let the firearm experts at Wendl's Weapons help answer any questions you may have about gun ownership and safety. Contact us today to learn more.